Take your color mixing to the next level with the ADJ Flat Par QA12XS professional “low profile” LED fixture. It features twelve 5-Watt QUAD LEDs (4-in-1 RGBA) with smooth RGB color mixing as well as a true amber LED to get the hard to achieve orange and amber hues. IT will work with Virtual DJ PRO7. Do you have Midi mapping (.tsi file) for Traktor 2 DJ software ? How loud are the fans on this fixture? 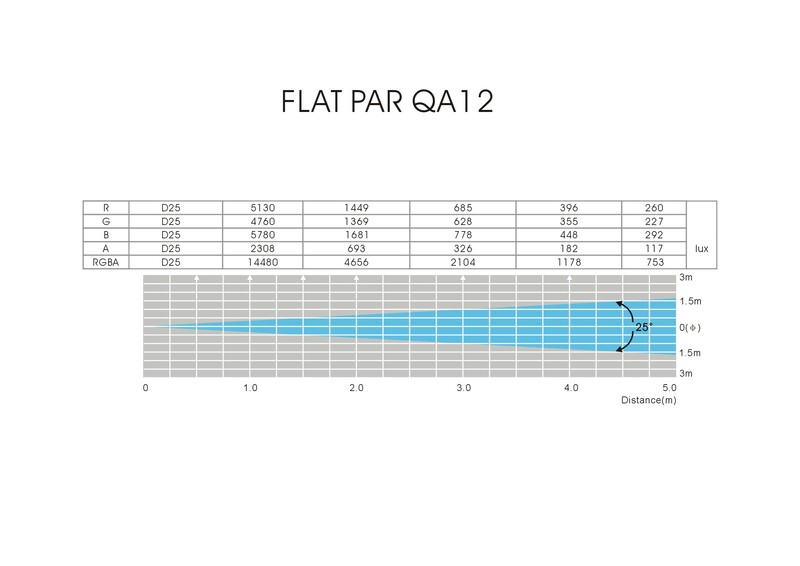 The Flat Par QWH12X from American DJ gives you a great option for either your DJ or venue needs. Powered by Twelve 5-Watt QUAD LEDs, plus a White LED to get that perfect White. With 50,000 hours of rated performance you get dependability in a LED setup from American DJ. The American DJ Flat Par QA5X is a Professional low Profile LED fixture. Featuring 5 5-W LEDs with RGBA color mixing the Flat Par QA5X will keep your party lit up all night long just like your music. The American DJ Flat Par Tri 18X is a Professional LED Par can setup with 18 bright LED lights. With its sleek profile the Flat Par Tri 18X from American DJ is perfect for any outdoor or indoor venue. The Flat Par Tri 7X From ADJ, Professional LED Par Can with a really Bright Output. From ADJ the Seven 3-Watt Tri LEDs (3-in-1 RGB) rated for 50,000 hours per fixture will make sure your parties lights run all night long. The Flat Par CWWW18 from ADJ. A sleek low profile Professional Can from ADJ. With 18 3-Watt LEDs (9x “CW” Cool White & 9x “WW” Warm White) from ADJ. The Low profile allows for easy mounting with the Dual Bracket System that even allows for ground placement. The FLAT PAR CWWW9 from ADJ. A sleek low profile Professional Can from ADJ. With 9 3-Watt LEDs (4x “CW” Cool White & 5x “WW” Warm White) from ADJ. The Low profile allows for easy mounting with the Dual Bracket System that even allows for ground placement.